When the music stops, keep the celebration going and stay over. 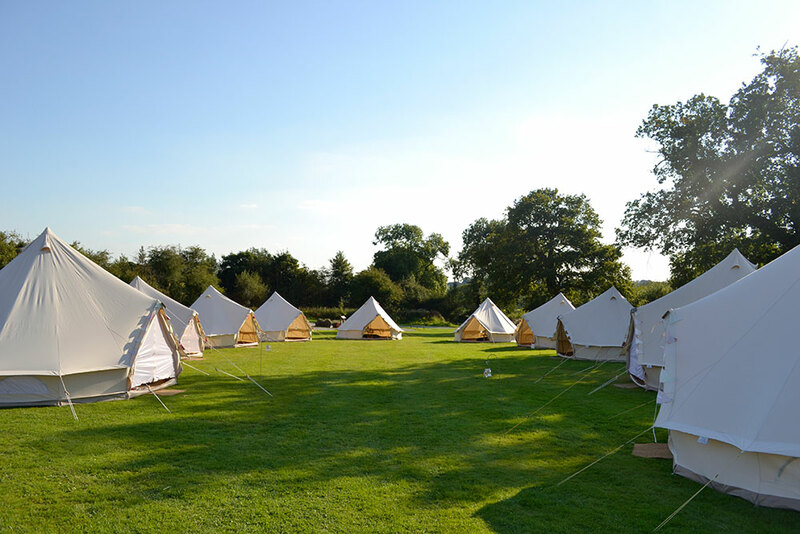 During your exclusive hire period, the wedding party, family and friends are all welcome to pitch their tent at The Secret Meadow. If you have any guests who are not seasoned campers, they can hire a tent and we are happy to pitch it for them. We will even throw in a double air mattress, sheets, duvet and pillows - there really is no excuse not to join the festival fun. We charge a small fee of £20 for guests to pitch their own tent, or £60 to hire a tent. We also have a ‘dressing room tent’ that can be hired to help with the getting ready process. It is the perfect place to snuggle down under the stars! 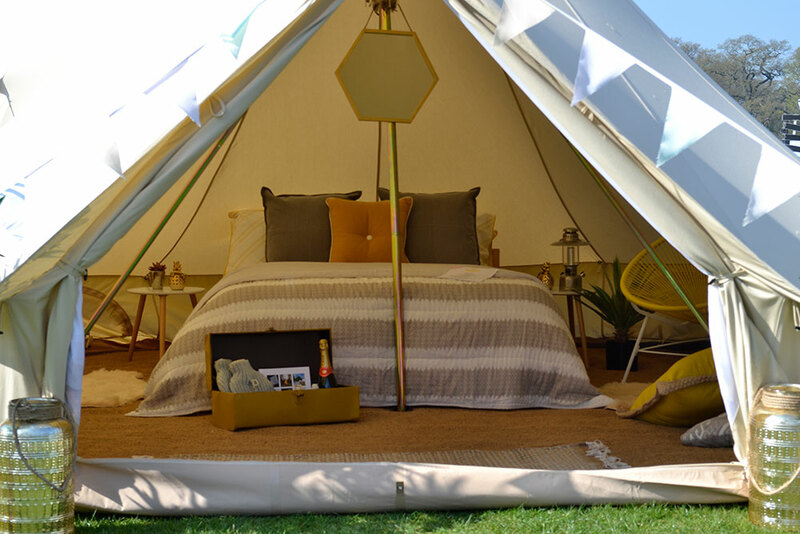 In partnership with TinkerBell Tent Hire, you can hire spacious bell tents that are dressed in true glamping style with double beds, soft rugs, seating, lanterns and other creature comforts. There are a series of different options available ranging from a basic guest suite at £120 to a bridal suite at £275. Please contact us for more information. 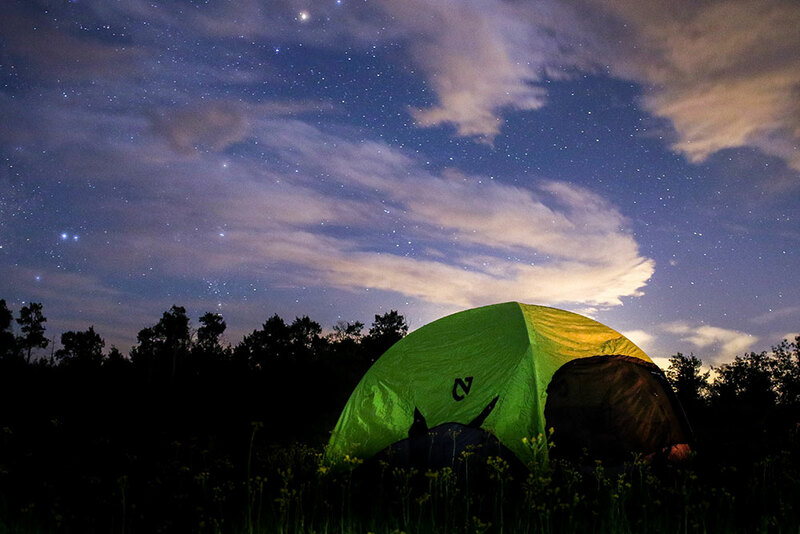 If camping is not your thing, there are many other possibilities nearby. The neighbouring villages of Hilton, Rolleston-on-Dove and Tutbury have a range of hotels, bed & breakfast and AirBnB options. They also have some excellent pubs, cafes and shops. Just a little further afield, the town of Burton-on-Trent (4 miles) and city of Derby (10 miles) provide a vast array of accommodation options to suit all tastes and budgets. We are happy to make suggestions should you need them. 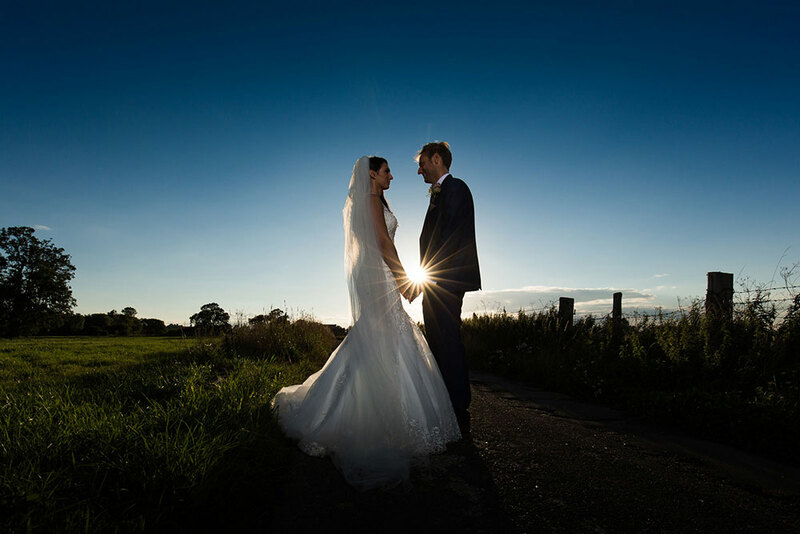 Dove Bank Farm is located in the picturesque village of Marston-on-Dove on the Derbyshire and Staffordshire border.